Jumping the gun here, but given the interest in musical subcultures I share with Hebdige, I'm ecstatic to finally be able to use this essay about one of my favorite bands. "(Love Like) Anthrax" is definitely in the running as my favorite Gang of Four song, though it's really hard to decide. "Damaged Goods" is their most popular song here, and I have fond memories listening to it on the radio as a disgruntled New Waver, which I still am. UPDATE: Gang of Four bassist Dave Allen has uploaded the original Damaged Goods EP as a ZIP file here. Not only does it contain the early versions of "Damaged Goods," "Love Like Anthrax," and the underheard greatness of "Armalite Rifle," it also has a scan of the back of the vinyl record, itself a textbook example of Situationist-inspired detournement. Today’s youth is continually influenced by MTV. In the documentary “Merchants of Cool”, the power of MTV can be clearly seen. 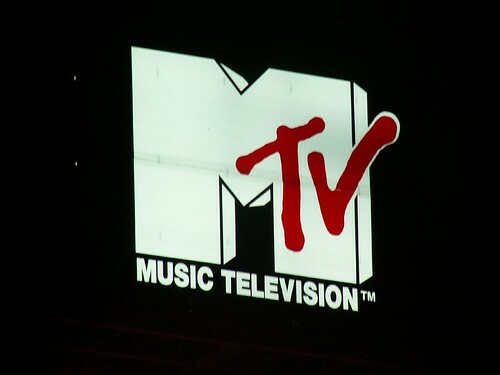 In that documentary, MTV feeds its audience different ideas and even to the point of influencing their buying pattern. It is not clear when this influence of MTV will stop but for sure it will lose its luster. Gramsci states that there should be a provision for hegemonic power, that there is an end to it, that at any point in time, once the ruling class is no longer dominant, a new class will emerge. Currently, MTV boasts of a very strong hold on its audience that whatever they see cool is transferred to its viewers and adapted by the viewers as cool. It seems that MTV can brainwash the audience on whatever ideas they want and can get away with it. The Oprah Winfrey Show also provides hegemony to the American audience. To further illustrate this, it was said that when Oprah said that Cheeseburger is fattening, the sale of Cheeseburger went down. Oprah’s influence to the American public is over the charts. In the Philippines, the show “Wowowee” has become hegemony in show business. Lately, Yes! Magazine accorded Willie Revillame as one of the most influential personality in Philippine show business. This can be a result of the success of the show “Wowowee” on Philippine television. Before “Wowowee”, “Eat Bulaga” has that hegemony. As was stated by Gramsci, it can be transferred to another class, in our case, it was transferred to Wowowee. These are some forms of Hegemony in media. Just like the rising and the setting of the sun, these will in turn fade and be replace by other forms and other classes. In light of this hegemonic power, certain subcultures emerge. It can be a form of resilience or revolt and it can take two forms. The first form is about the conversion of sub-cultural signs into mass produced objects and the second form is about the labeling and redefinition of deviant behavior by dominant groups like the media, police and judiciary. Sub-cultures, like cults, exist because certain movements desire separate identity from the mainstream ideologies. Society through the intercession of certain bodies dictate trends that the general population may tend to ride with. Despite a society that has a tendency to dictate, certain sub-groups end up emerging with their own respective stands. Perhaps a desire for attention, identity and maybe just a downright desire to contend with the popular belief are the primary motivators for such sub- cultures. Ironically though, as these sub-cultures assert their own trends, they some how gain appeal of the larger population and it ends up having its own following. There come a time when small groups attain a certain culture. For one, the emergence of hip hop, dance crews and gangs are examples of a subculture. These groups emerged out of different circumstances, mostly because they want to be unique. There is a certain manner of dressing and talking when one belongs to a subculture. Hip hop shirts and boggy pants speak for the way hip hoppers dress. 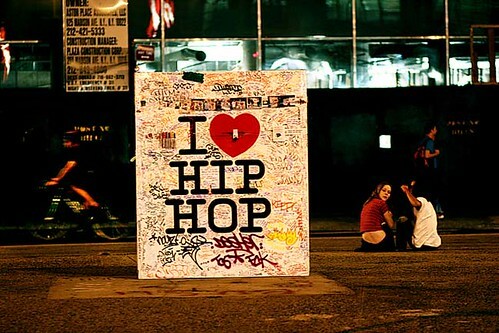 Some would go to the extent of graffiti to display their allegiance to hip hop. Subcultures like these arise in reference to the hegemony or the current dominant idea or class. It is not always a negative thing but there are some groups who would go way over the distance to make it a way of life. In the movie Green streer Hooligans (Elijah Wood), the subculture of the fans is put at a negative light when they fight against the fans of the rival team. It was clearly seen in the movie that being a part of that subculture is a deviance in society. In the Philippines, there came a time when the fans of Ateneo and La Salle created a subculture. Some Ateneans and La Sallians were able to bash the cars of the rival school and other things to the point of firing a gun to the rival fan. In the first form, the subculture of La Salle and Ateneo comes from selling shirts and color that represent their school. Currently, there are many gangs and fraternities that emerged. These subculture speaks of their own mode of dressing and the place where they hangout. The dominant class do not see gangs and fraternities to be part of “normal” society. These subcultures emerged in response to different situations and ideas.